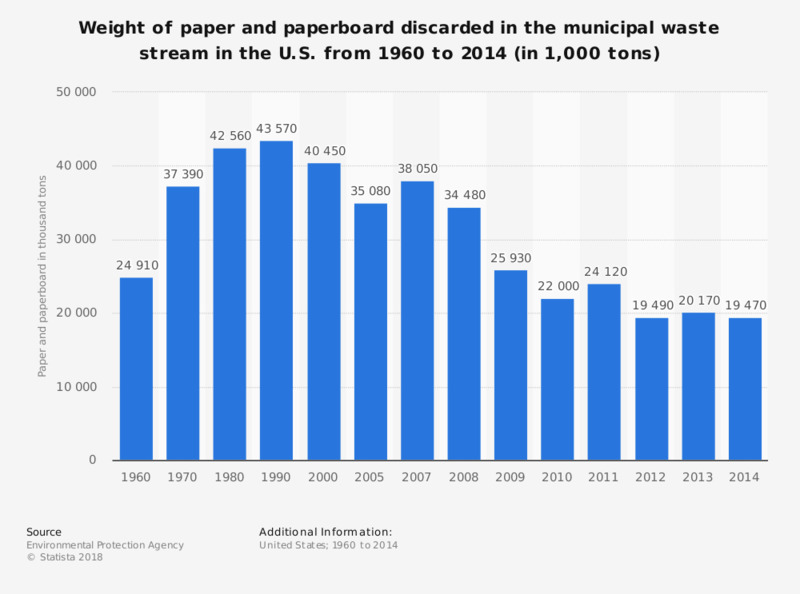 The statistic shows the weight of paper and paperboard discarded in the municipal waste stream in the United States between 1960 and 2014. Approximately 19.5 million tons of paperboard were discarded in 2014. According to the source, discards equal discards after materials and compost recovery. Includes combustion with energy recovery. Does not include construction and demolition debris, industrial process wastes, or certain other wastes.